As you know already from the title today's post is going to be all about Full Time Blogging and Sponsorship Tips. First of all I do not call blogging "work" as to me, it's not really working because I am doing something I love and something I am so grateful for doing. I get asked so much about blogging, both from people who don't blog and other bloggers so I wanted to create a blog post trying to explain what it's like the best I can for you all..
Another blog post which may help some people out is "My Morning Routine" so you may want to check that out as well. Don't think that blogging can be easy and you just sit in your p'jarmers all day, or that you get to stay in bed and watch your favourite show or movie in the back ground of working etc. You will spend hours being tired, sat in front of a laptop at all hours of the day and night if you don't get yourself into a routine and a schedule. Get up at a good time and get dressed - even if it's only in leggings, a tee and some comfy socks. You honestly will thank yourself during the day for both, I have been there and thought "I will just put a rest pair of p'jarmers on today and then I've been called into a meeting via webcam and their is nothing more embarrassing than being in a meeting with top beauty or fashion people and you're sat with a Minnie Mouse p'jarmer top on, no make up and your hair up in a top-not. It's shameful! You need to create a work life and a personal life. A lot of bloggers which I know do this by having a whole room in their home or a desk in their bedroom which is just for blogging. Know that when you walk into that room or sit down at that desk its time to blog, your body will get itself into a routine if you blog the same time every day. You will be given funny and weird looks. I have been blogging for over ten years, and my parents still look at me confused. Your friends and family won't understand what it is you do unless you sit them down and explain it to them, then they will ask; why you do it: What's a blogger? What's it like to be a blogger? What do you wanna do something like that for? Why put hours and hours into a website just for someone else to read? Isn't that a little boring? Is anyone even interested in what you had for tea last night? Don't get offended, it's just because they don't understand. My best friend has no idea what an address bar is or how to find my blog not to mention make a blog herself - she once typed my home address into google thinking it would take her to my blog page! Of course your friends and family will be supportive, but they can't do that unless you explain it all to them. Lists really are one of a bloggers best friends. List everything down; literally, because you can always go back to it later on. List what you need to do during the day work-wise and life-wise so you can cross them off once done, and when you look back at the end of the day you can really see how much you actually got done. Tip: If you have a lot on your list one day, cover the remaining things on your list until they have been done so you can fully concentrate on one list job at a time. It's embarrassing, awkward and sometimes really annoying. You will get funny looks, you will be giggled at, but you will be thankful that you don't let it put you off. The amount of times I've been out and about and took pictures of "random things" which I know would make great ideas or pictures for my blog or social media accounts and been given the rudest looks from people is silly. But remember, just smile because you understand what you're doing and they don't! A lot of the time bloggers get so caught up in blogging and replying to people that they loose track of time, or think "I'll go get something once I've done this.." NO! Go get yourself something NOW. Make yourself a small lunch the night before and have it ready for yourself to just grab and eat. Take yourself out of the "work-life" situation whilst eating your lunch; maybe watch a show for half an hour, listen to the radio, or just simply sit outside. Get yourself out of the work situation and go back feeling fresh. Tip: Take a pen and paper with you, some of your best ideas will come to you when you are having food. You actually have to put the hours in. One of the biggest things that will help you is that you sort out your blogging hours, and stick to them! A lot of the time I blog from 11am until 3pm Monday to Friday, but that can differ from day to day and what's happening on what day. If you are only going to blog for an hour or two a day then you really will get frustrated with your blog and yourself. Being a blogger is one of the best jobs in the world - but it's not for everyone. It really is true that bloggers never take holiday's, well not really anyway. And the reason being? Because taking an actual vacation would be an awesome thing to blog about. You really need to be flexible with your personal and social life. 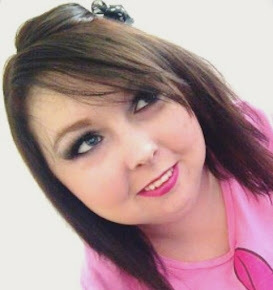 You will miss birthday's, parties, and there is nothing worst than when you're about to go out for a meal with your partner because you think you're done for the day and you get a phone call from your sponsorship saying you need to go onto a webcam meeting about a blogging opportunity. It's annoying. It can be expensive at first. If you're going to become a full time blogger or you are a full time blogger and you're looking for a sponsorship then the chances are that you already know how expensive it can be at the beginning. You will want to buy and review everything, you will want things that other bloggers have, you will want to travel and go places like other bloggers. If you're a new blogger than blog about things you already love, blog about things you want to try, blog about yourself, blog about anything and everything. If you are a blogger already and are thinking about becoming a full time blogger you need to save just to get yourself by in life because it is a really long hard working road before you get noticed. You don't need to spend all your money or get yourself into debt just to blog! Tip: The best thing you can spend your money on is an external harddrive so you can back up all of your work and your pictures. You are a geek. It's true, you know it, I know it and it's nothing to be ashamed of. The fact that you want to spend hours on a laptop means you an inner geek somewhere inside you, and your inner geek will want to spend hours writing and drafting posts, shooting ideas, making blog designs and headers for your blog, editing photographs, double checking your spelling mistakes and treating yourself how to use the new funky codes going around. Embrace it, it's fun and you're learning. You have your email account synced up to your mobile? Put it on silent. Trust me on this, you will thank me. I get so many emails every day from readers, other bloggers, family, friends, stores I'm subscribed to, my sponsorship, brands, PR lists, plus spam emails etc, if you don't put your mobile on silent when it comes to emails it will be always going off. Not only will it be annoying but it will be distracting too. Regester on as many social media accounts as you like, as long as you stay on top of them! There is no point in registering to a website and then only checking it every month and logging on to a ton of messages - I've been there, trust me it's not fun! Also link your social media accounts on your blog so readers know how and where to follow you on the websites they're also registered on. Make friends and know your enemies. Firstly, you do need to know that blogging is not a competition at all. A lot of the time you need to read someone else's blog to actually get them to read yours, and most of that time you will really enjoy their blog. The blogging community is such a wonderful thing to be a part of. It really goes with that saying, if you're nice to someone they will be nice to you back. Over the years I have seen a lot of bloggers have their pictures or content stolen and it's really heartbreaking to see. Don't be a copycat. Come up with your own content and express your views honestly. Also, a lot of the time a blogger with a ten-thousand-odd followers isn't always going to reply to you, not because they have ignored you but because they get a lot of people asking them things and your question or email has probably got itself lot in the pile. Try not to put too much pressure on yourself. Yes you want the best blog content going, and more and more page views, and readers, and you want more blog page views than that other blogger you don't like but don't make yourself ill over it! Just like anything in life blogging can sometimes become competitive, your job is to not let it be. Don't get involved in blogging argument, don't get involved in sucky teenage drama, and don't diss another blog on any social media account ever! Working alone can be lonely. For someone who doesn't enjoy their own company, blogging will become your worst nightmare. You have to spend a lot of time alone writing and editing and drafting otherwise you will become side tracked and nothing will get done. Tip: Play some relaxing music when blogging, make yourself a mellow playlist to listen to. Your bag will get bigger and more packed. You will find yourself putting more and more into your bag which you want to blog about, and then when you get home you will forget its there. Best advice here is to empty your bag when you get home and sort it out, if you don't wanna do it every day then make sure you do it at least once a week. And also always keep a pen and note pad in your bag for ideas and notes through-out your day when you're out and about. Tip: Buy yourself a portable mobile phone charger. You will thank me when your phone dying half way through the day and you still have a million pictures to take. Just remember to charger it when you get home. No one is going to come back and check out your blog if you don't blog enough or if your blogs are boring, sorry to be honest but we all know its true. Be honest, always and completely. If you love something, say it. If you hate something, say it. Don't be scared. Look at other blogs and bloggers, what are they talking and blogging about? Write your own opinion on your blog and send it to them. Talk to them. Share your make up collection, share what's in your bag, share what you had for tea last night. Bloggers are noisy and we like to know what other bloggers are up to. You won't become popular over night. It takes time. Being a successful blogger is a long bumpy road to take but it's so worth it when you reach the end of the road. You need to build relationships along the way, plus share, retweet and talk to people online. Obviously stay safe but message other bloggers, don't be scared to ask questions and advice, send your cv to brands and PR lists. The internet is a really big place and you'll never be noticed if you don't get yourself and your blog out there. You won't get a sponsorship over night. 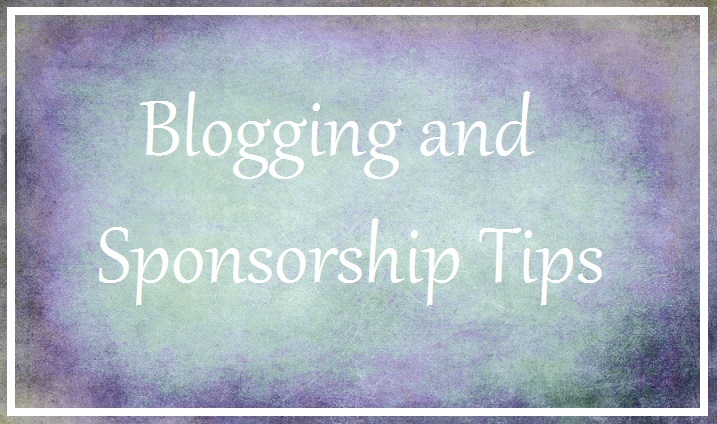 No sponsorship is going to come to you after a week of being a blogger and say they want to sponsor you, and no sponsorship is going to sponsor a new blogger. Sorry to say it beautiful's, it's harsh but it's true. Sponsorships look at everything; your blog, the time you spend blogging, your social media accounts, your cvs, your blogging space, your blogging content, your schedules, literally everything. They look for someone who is dedicated and really does put the hours in. You need to build up a lot of blog views too. You need a supportive partner. Being in a relationship with a blogger isn't for everyone so don't take offence if your partner of two weeks ends things with you because you blog too much or that they don't understand it. If you are one of the special ones (like myself) your partner will be understanding and that is wonderful because they are a keeper! Being a blogger and having a relationship with a non-blogger means they need to understand that you sometimes have to cancel plans last minute, means they have to understand that sometimes you have to take a rain check on that date you've had planned for a month because you're too tired as you've been sat in-front of the laptop all day, means that they need to be supportive, means they are willing to make you a cup of tea or coffee and start (or better make) food for you sometimes, means that sometimes you will be up until all hours of the night blogging and you will wake them when you get into bed at 4am or 5am and they have to be up at 6am. Basically, they need to be supportive, understanding and loving to you. As you may be able to tell, you really have to put the hours in if you are a full time blogger, it's just like any other job. You have to love your blog, and your life. Don't bother rushing a blog post as it will show, take your time and do them right. Yes it will take a long time but dreams don't work unless you do. Remember to think big, dream big, believe big, and your results will be big. Be yourself, stay positive and update regularly, have faith and believe in yourself. You won't get anywhere in life at all if you don't believe in you. All in all, whatever you do make sure it makes you happy. More than anything remember do what makes you happy. Happiness is a right, a privilege which you deserve. You're always as happy as you decide to be. I really hope this blog post helps some of you out. If you have any questions about blogging or sponsorships please leave the questions below and I will answer them there. I hope you all have a wonderful day! This was really interesting. I make lists all the time and it's really useful to keep me organised and to help me plan my week ahead. Great post, lots of information that I found usefull. I'd love to be a full time blogger on day. This is a great post full of useful tips. The one that really got me was the one about your partner - I had to have a long talk with mine about juggling work and a blog and I'm really happy to say that he's being supportive! I'm going to work on implementing some of the rest of these though - I can already see the benefits of it. Thank you so much babe <3 I agree with you so much too, certain brands and companies really try and take the biscuit with bloggers because for them all they need to do is send samples of their products out and then the blogger does all the work; picture taking, writing, reviewing, advertising, etc. A lot of bloggers need to know how to say no to them!